The Macy's Thanksgiving Day Parade is the unofficial launch of the Christmas season in New York City. Yes, some of the stores have already put up decorations and installed their holiday windows, but until Santa Claus arrives at Herald Square on Thanksgiving Day, Christmas isn't really on the horizon in the Big Apple! 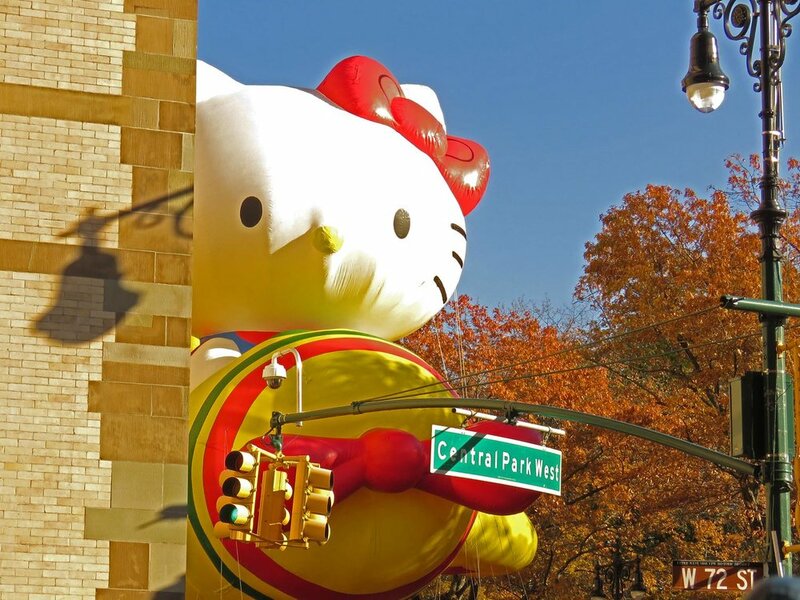 I went to the parade on November 23, and though I was somewhat back of the crowd at 72nd Street and Central Park West, I managed to film the balloons and some of the tops of the floats. No chance to really see the marching bands (until I ran down to Sixth Avenue and Central Park South to see Santa a second time). I set the parade movie to some fun music from the YouTube Audio Library. But all in all, it was fun to see the balloons and watch the kids wave back to the people on the floats.